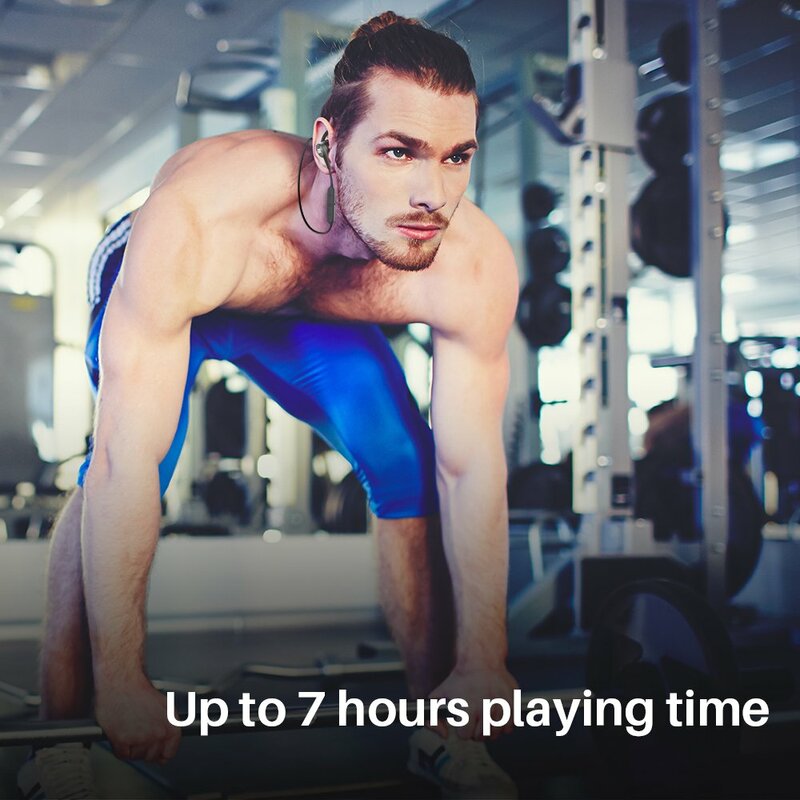 【Up to 7 Hours Battery Life】Up to 7 hours continuous play time (depends on volume and audio content) ensures you could have long time to enjoy your music when you are outside for running, gym, just only take 1 hour to be fully charged. 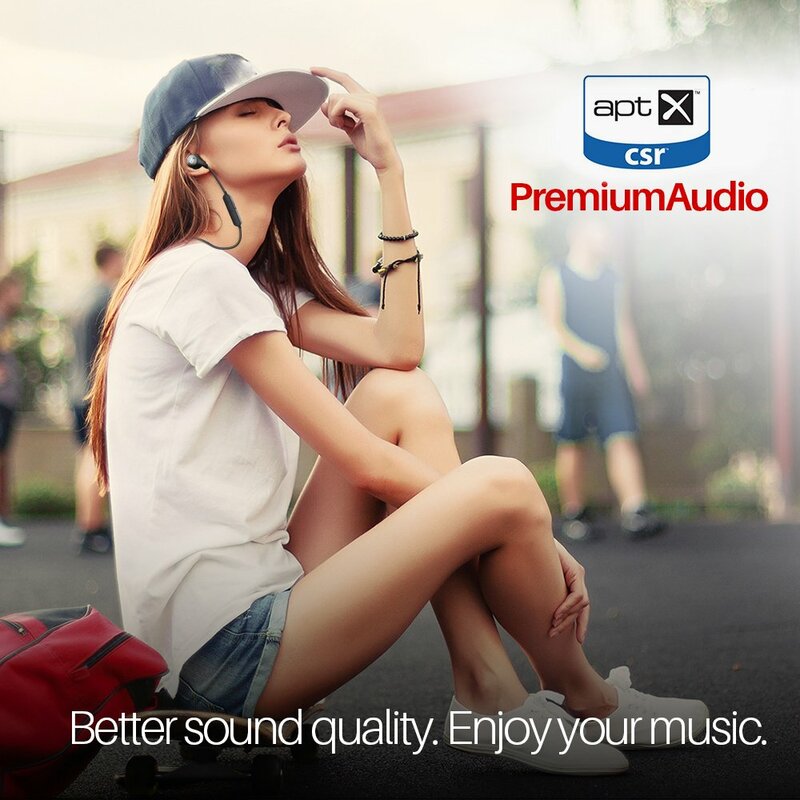 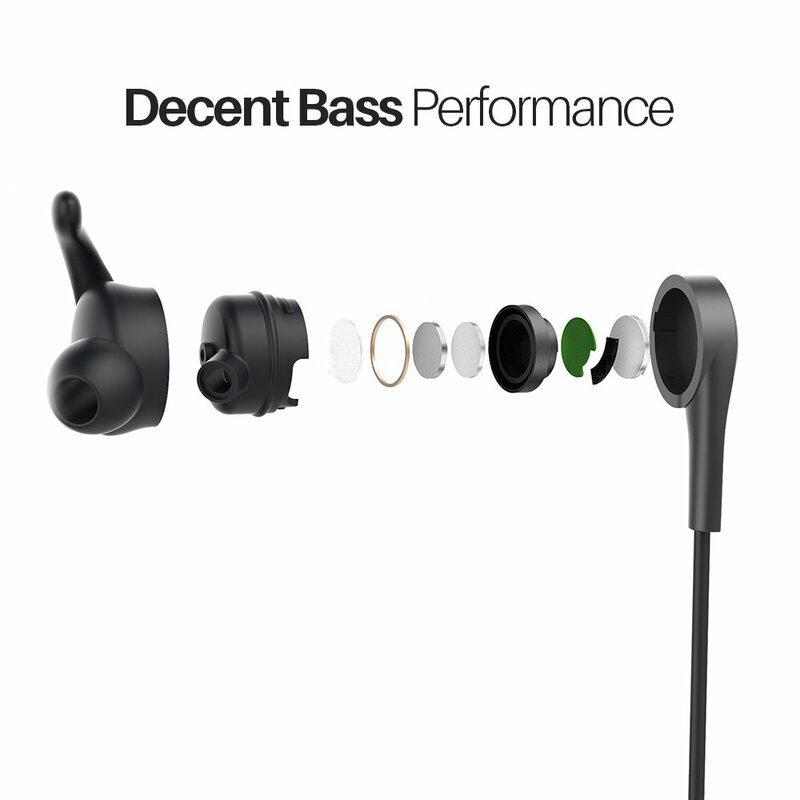 【Compact and ergonomic design】In-ear with ear hook perfectly fits your ear canals and no burden on your ear, avoid echo and reduce wind noise and also it is processed with high precision drilling and high density CD texture. 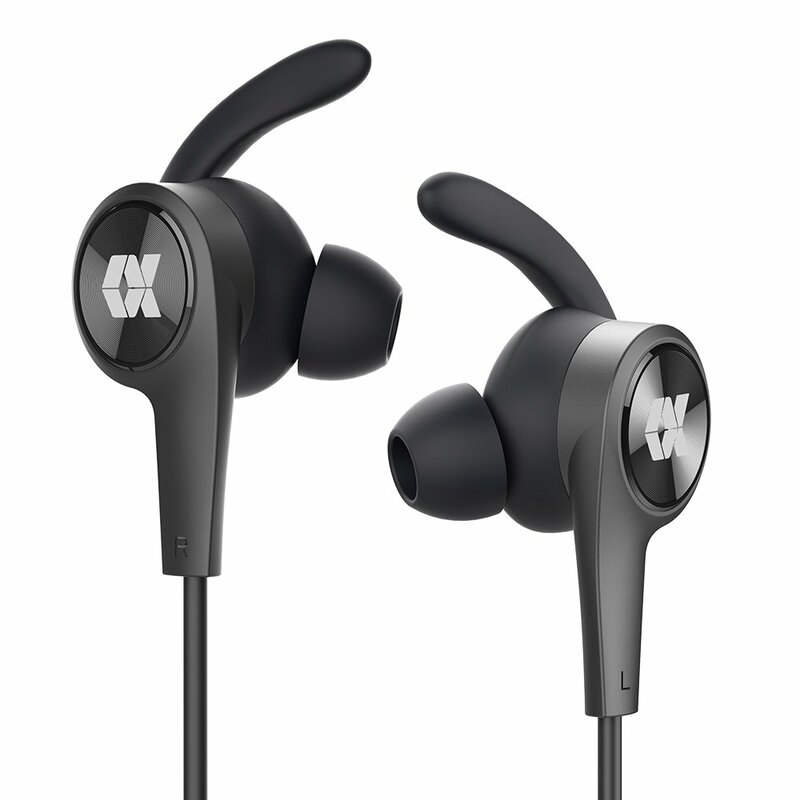 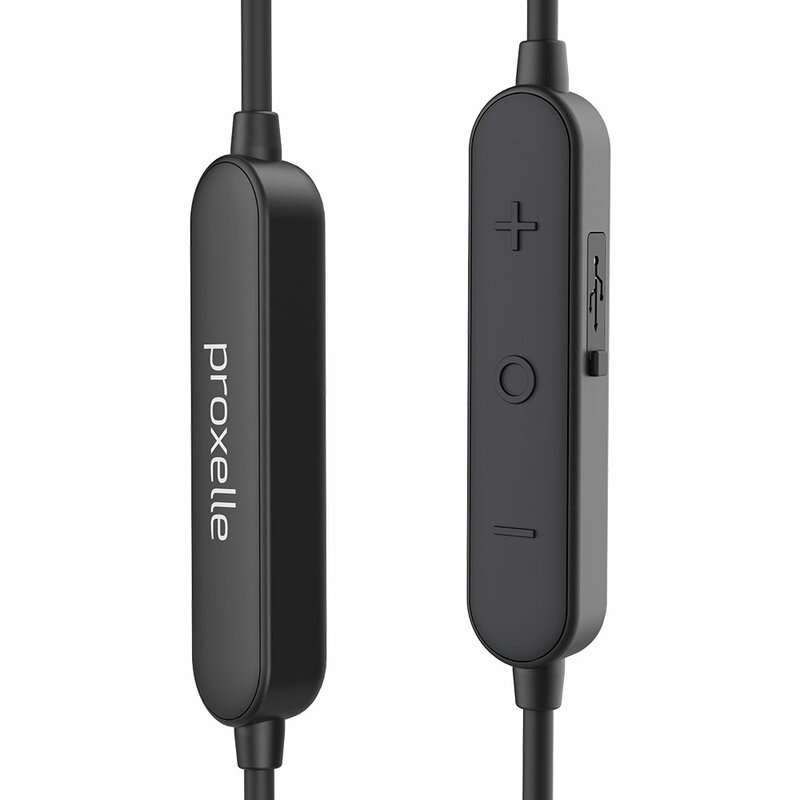 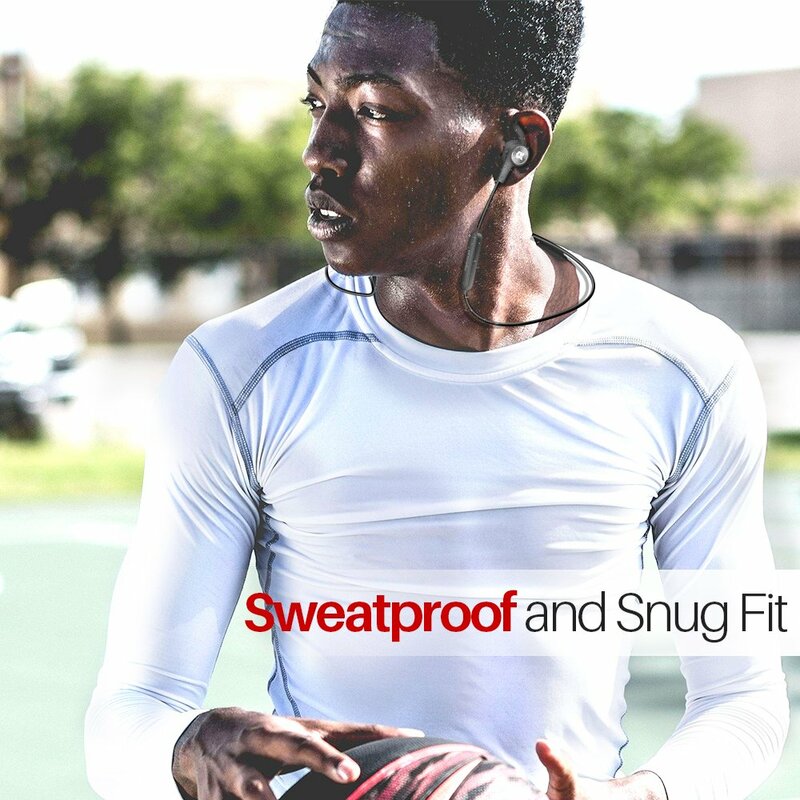 【Magnetic Absorption】 With magnetic absorption, you are easily store it while not using, and also, the magnetic earplugs can prevent headphones tangled, easy to carry, no worry for lost.